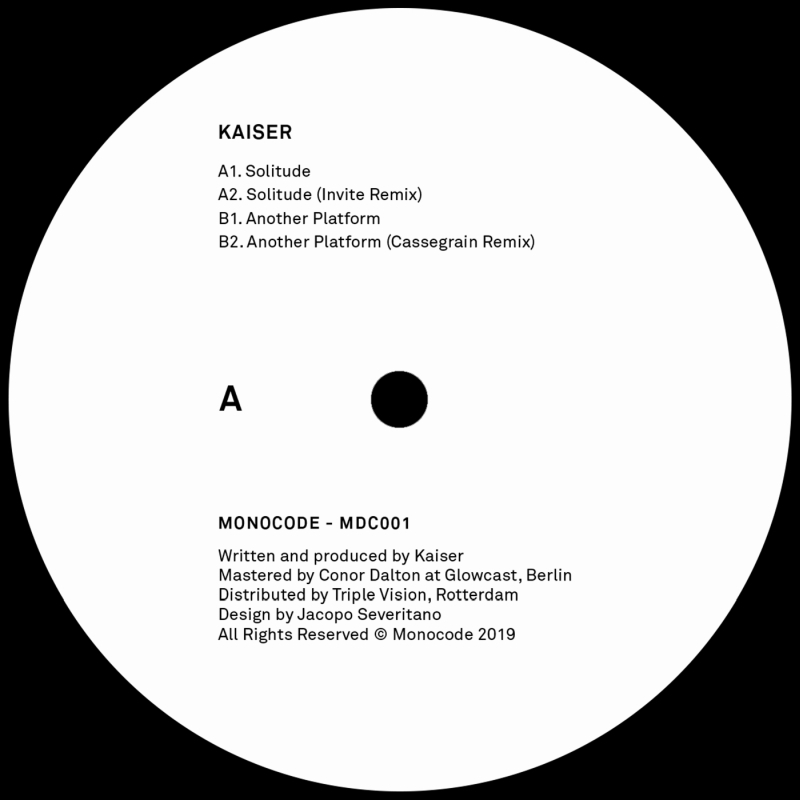 Monocode seeks the root code of techno with the release of the EP Solitude by Kaiser. Two original tracks hit the ground running to the beat of a mechanical war drum, aggressive and determined: today’s Spartans charging into the night. The title track “Solitude” storms into a dark basement of flashing strobes and lasers. “Another Platform” is a cavalry charge at full gallop. The smooth roll of the beat maintains the pressure as you put miles onto your sneakers against the rave’s concrete floor. Two remixes continue the charge at their own pace. 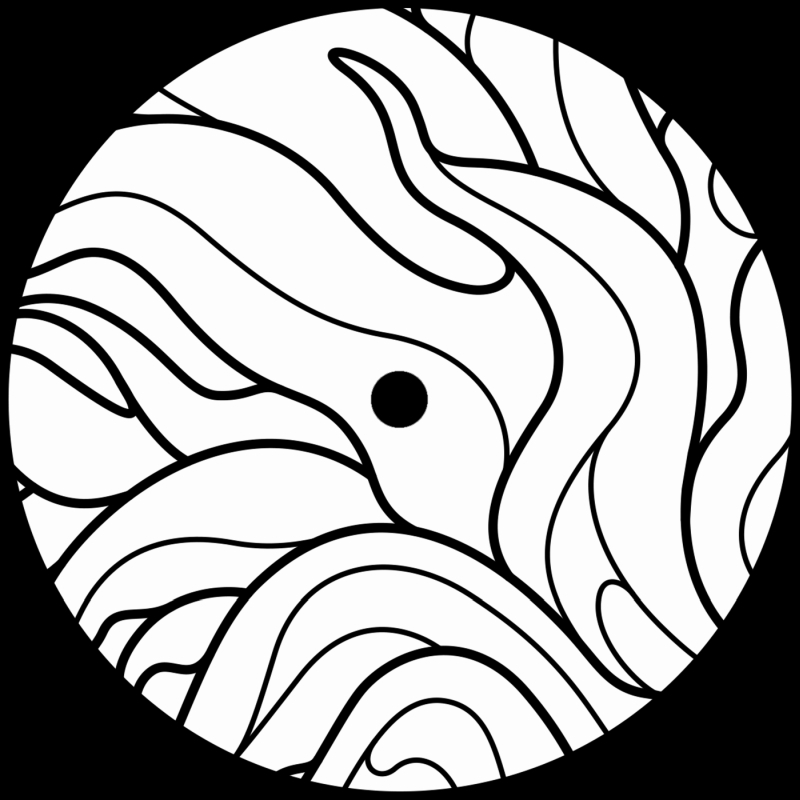 The first is a bouncier beat stripped of its heavy bass, punctuated by cymbals and classic handclaps to lighten the mood. The last track on the EP might at first seem like you could catch your breath, but it’s only swinging around to flank the beat from a more angular direction.